The mission of Snowden Library is to support the faculty, students, and staff of Lycoming College by providing a learning environment essential to the liberal arts through instruction, services, and collection access. As the academic crossroads of our residential campus, the library partners with faculty to offer a collaborative instruction program that teaches the formulation of research questions; the information discovery process; effective research skills; the synthesis of diverse information; and the evaluation and responsible use of information. The library provides access to carefully managed print and electronic collections, with appropriate technologies to support their use. Through programming and resources, Snowden Library invites the college community to engage in the ongoing intellectual dialogue that provides the foundation for an informed and productive life. Instruct students according to information literacy standards developed by the Association of College and Research Libraries (ACRL). Apply established American Library Association (ALA) “best practices” in library services and operations as well as adhering to the Association of College & Research Libraries Standards for Libraries in Higher Education. Support the classroom and research needs of students in all disciplines. Support the curricular goals and research needs of faculty through college collections and access to collections worldwide. Evaluate and assess levels of service, collection strength, and technical support, comparing our library to peer institutions when appropriate. Maintain productive partnerships with appropriate college constituencies. Collaborate actively with Information Technology Services (ITS) to implement, maintain and plan the technology that undergirds library service and success. 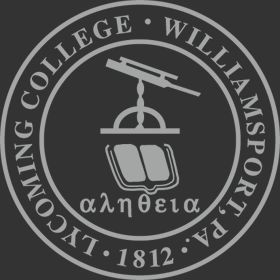 Collect and promote an archive of historical materials on Lycoming College. Assume a leadership role in educating the campus community on intellectual property rights, privacy, and plagiarism and provide support services in these areas. Contribute imaginatively to the cultural and intellectual life of the college. Manage and maintain effectively the physical library space as an intellectual commons to reflect service and collection needs and study choices. Adopted by the Snowden Library Faculty Library Advisory Committee May 28, 2003; Modified September 2016.